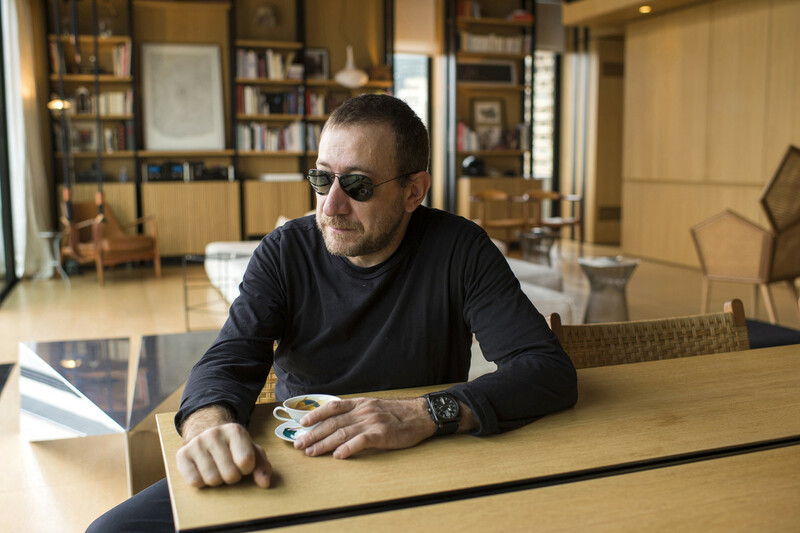 Lebanese architect Bernard Khoury has had his new penthouse featured in the Wall Street Journal. Looking at it, I think it belongs in one of those Forbes articles that show the interior of celebrities' houses. It's been a while since I've seen any of Khoury's works. I'm delighted that he's offered a sneak peek into his very own home. 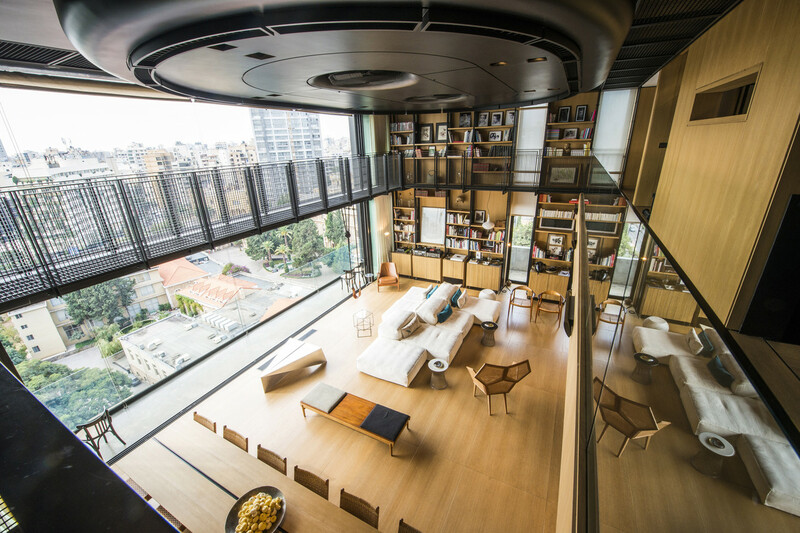 The penthouse has a total of five bedrooms and seven bathrooms. We don't get to see the bedrooms, but my imagination tells me they're more than easy on the eye. 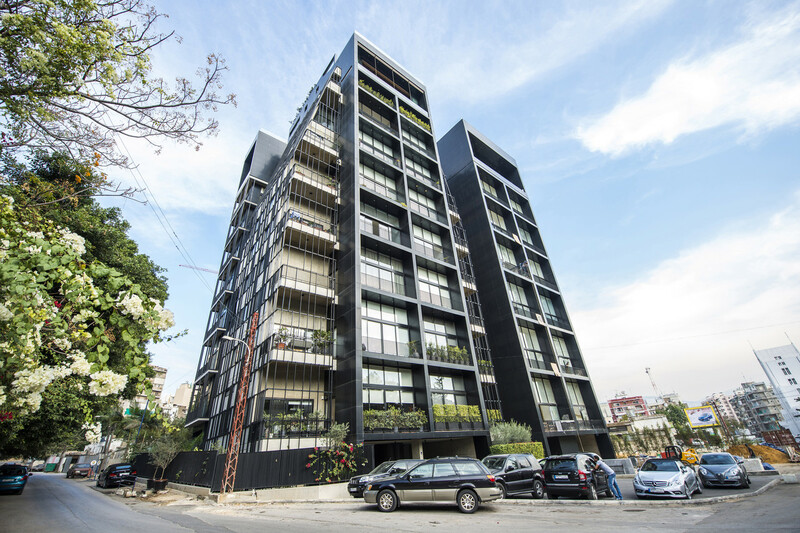 "His design was based on the idea that neighbors should have the chance to get to know one another. 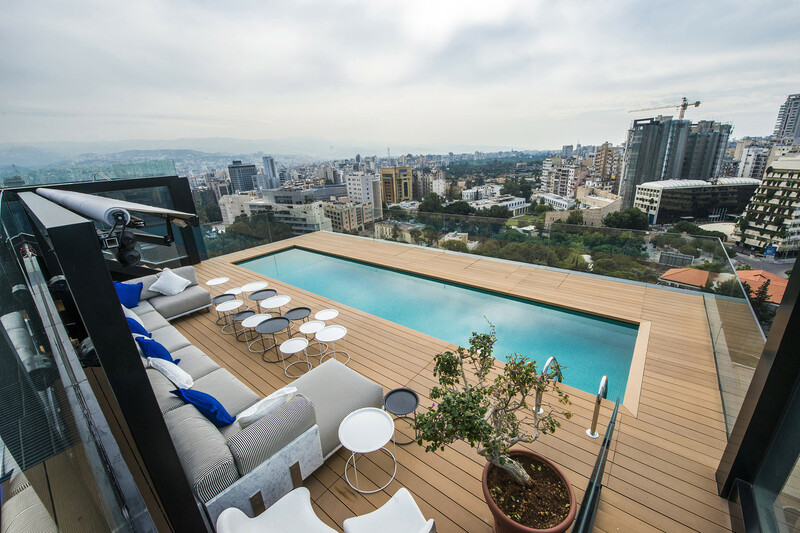 He said that for the past four decades most buildings in Beirut were designed in a standard style of an elevator going through the center of poorly ventilated and dimly lighted boxy rooms with sitting areas in the front and bedrooms in the back." 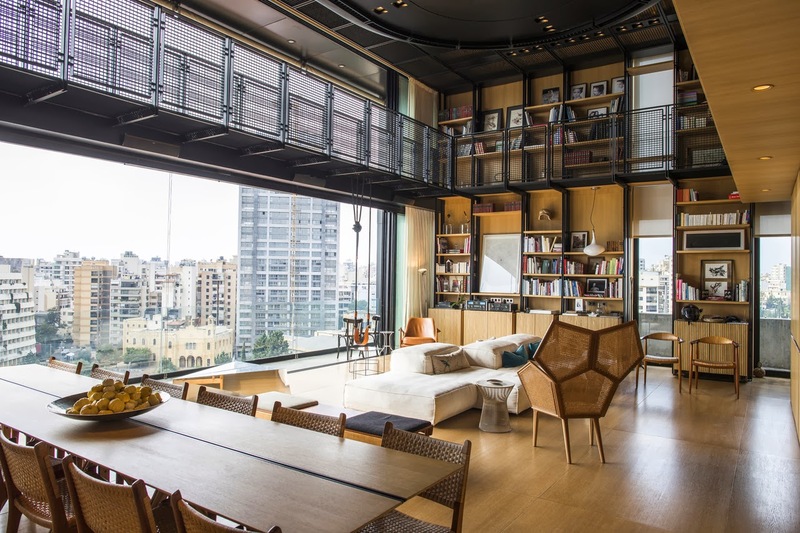 "Inside the room, Mr. Khoury has his own furniture designs: low cream-colored couches, tan cabinets that hold books and artwork and hide the built-in sound system built, and a 12-seat wooden dining table"
The building is on Chehade Street in Achrafieh, an area that according to Khoury, only recently has 'bounced' back to livelihood.